The Steam community is certainly a productive bunch. In total, the last two weeks gave us one-hundred and thirty seven new Greenlight titles to look forward to. That's... rather impressive. Of course, this means there's a whole bunch of platformers, horror games, and RPGs for us to check out, so let's get started! Note: Being Greenlit means that a game has been approved for distribution on Steam. It doesn't guarantee a release—projects may be abandoned, crowdfunding campaigns may fail, developers may disappear. All it means that if a Greenlit game ever gets near a playable state, it is guaranteed a spot on the Steam store. Phew. 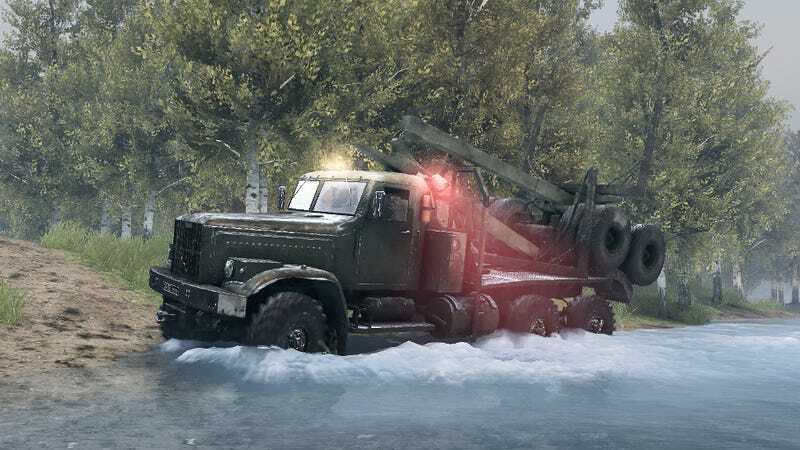 My personal favorite is the amazing-looking trucking sim, Spintires—the game featured on the top image—but I'm really looking forward to the new Eschalon, as well. What about you folks?